The late Charles J. Henry began his career in funeral service at the age of 13 with St. Clair Funeral Home in Cambridge, Maryland. Following Mrs. St. Clair’s death, he established the Henry Funeral Home in Cambridge at their current location on Washington Street. 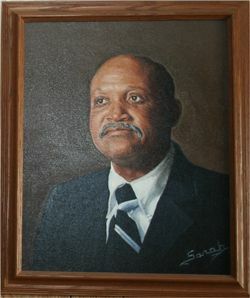 The Henry Funeral Home continued to grow under the care of Mr. Henry until his health began to fail in 1994, at which time his daughter, Janelle C. Henry assumed the day-to-day responsibility of running the family business. Upon the funeral home’s transition from a sole proprietorship to a corporation in 1994, Mrs. Henry made great strides in the continual growth of the establishment. The staff has increased from 7, serving Dorchester County to a staff of more than 25 serving primarily the Upper Eastern Shore region. Henry Funeral Home, PA of Cambridge, Maryland is recognized as a leading funeral service provider on Maryland’s Eastern Shore. Approaching their 25th year in business, the Henry Funeral Home, PA has earned the respect and confidence of citizens in Dorchester, Talbot, Kent and Queen Anne’s Counties. The management and staff of Henry Funeral Home,PA continually work on bringing their families and community the finest service available.